Forget-me-not… Today’s walk was brilliant. I found wild strawberries in bloom on edges of narrow paths in the forest. I noticed lots of wild raspberries canes, too. However, today’s colour was definitely ‘purple’. 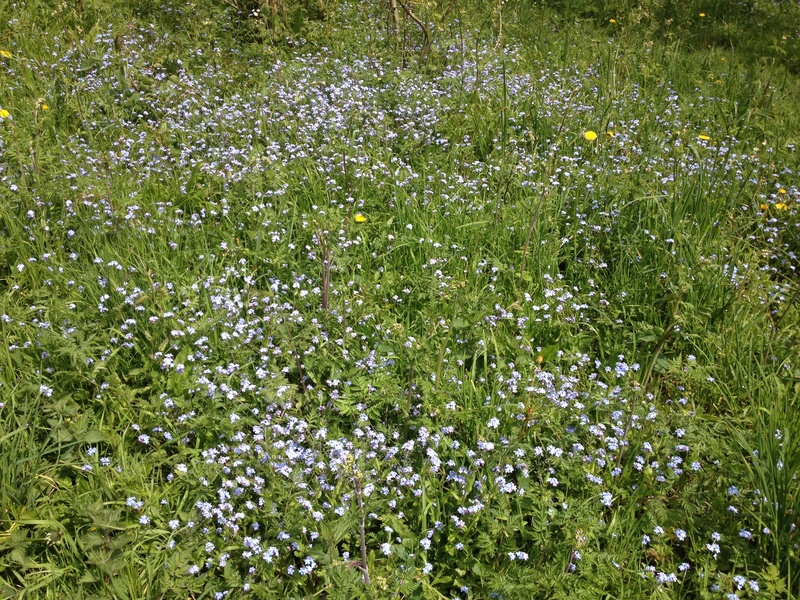 Carpet of Forget-me-not and bluebells welcomed me and my friends on May Day! Thank you. 오월의 첫째 날, 숲에 또 갔다. 바람이 꽤 부는 날이었지만 숲에 걸어 들어 가니 따뜻해졌다. 야생산딸기꽃 보며 저 꽃 진 자리에 딸기 열려 익을 때즘 따 먹으러 와야지, 생각하니 괜실히 행복해지는 마음.